The Solfeggio frequencies are from an ancient musical scale. This ancient scale differs from the conventional scale with its purer sound. Solfeggio frequencies were sung in harmony during religious masses to give spiritual blessings. Solfeggio frequencies were used in Gregorian Chants and the most famous is the great hymn of St John the Baptist. The Solfeggio Frequencies were rediscovered by Dr. Joseph Puleo and Dr. Leonard Horowitz. They learned that the Solfeggio scale has a different tuning from the conventional scale and can provide healing stimulus to the entire biological system. These two genetic biochemists also claim that the frequency of 528Hz is the repair frequency for damaged DNA. 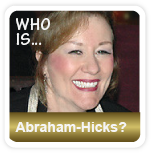 Their rediscover has brought a powerful healing tool; sound healing with the Solfeggio Frequencies. Compared to the ancient Solfeggio frequencies, our modern and updated musical scale is more dissonant because it is based upon the ”Twelve-Tone Equal Temperament”. The Solfeggio frequencies are based on the ancient method of ”Just Intonation” with pure intervals between every note and with purer sound. Solfeggio frequencies correspond with the tones Ut (Do), Re, Mi, Fa, Sol, La. In Herz (Hz). These tones are 396, 417, 528, 639, 741, 852 respectively. The original Solfeggio scale was composed of only six notes: “UT, RE, MI, FA, SO, LA.” A 7th note was added to the modern scale in the form of a “SI,” or a “TI,” as in the “DO, RE, MI, FA, SO, LA, TI” vocal scale. Every thought, emotion, cell etc. 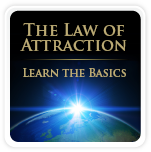 is energy with a vibrational frequency. Our body needs a proper balance of energy, or we will feel bad or even get sick. Sound healing can help balancing our body, and Solfeggio frequencies have been discovered to slow down brain wave vibrations and this is said to be very beneficial for the overall health, see picture: “Solfeggio Scale”. As mentioned above, the third note – at frequency 528 – is said to be the ”Miracle Frequency” and it is the exact frequency used by genetic biochemists to repair broken DNA. Furthermore, each Solfeggio Frequency is connected to a specific chakra. 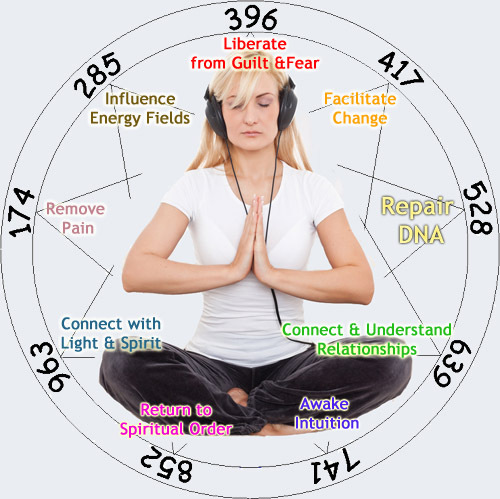 By listening to the seven frequencies you will start a healing process in all chakras. Sound healing is very simple – just relax and listen to the Solfeggio frequencies. Below are the seven healing tones, connected to each chakra.